Our stomach releases certain acids for the digestion of food. The inner layer of the stomach is covered with a special lining to prevent the stomach from the effect of acids but our esophagus is not protected from this. Hence during acid reflux, the throat gets a burning sensation. Some common symptoms include chest pain or heart burn, bloating, gas a bitter taste, burping and difficulty in lying or bending. Aloe Vera is a proven natural agent known to relieve heart burn and prevent acid reflux. It is one of the best home remedies for acid reflux. The healing property of aloe vera soothes the entire esophagus track and provides relief from irritation. Studies prove that Aloe gel contain glycoproteins and polysaccharides. Glycoproteins are helpful to impede pain and inflammation enhancing the healing process, polysaccharides aids proper digestion of food and are known to repair skin cells and stimulate skin growth. It has the capability of improving the blood circulation through blood vessels which helps for proper digestion and functioning of digestive tract and relieves heartburn or acid reflux. Aloe juice is available in food and medicinal stores. Use aloe juice specifically prepared for internal use because it is free from aloe parts so is safer for the digestive system. Remember to start with small dose initially to prevent stomach cramps and diarrhea. Gradually increase the dose to 2-3 ounce. Drink 20 minutes prior to meals reduces acid reflux. It can also be diluted with little water or any non-acidic fruit juice to taste better. When you have acid reflux consume around 2 to 3 oz. of aloe vera. Blend 3 tablespoons of aloe vera gel, juice from a lemon and 2 limes, 8 ounces of coconut water, ice and stevia. Drink this refreshing drink regularly. To make a guava aloe vera cocktail, mix 2 cups of organic guava juice, the fresh juice of half lemon and 2 tsp of aloe vera gel. Blend all the ingredients till smooth. Cherry aloe cocktail can be made by blending 2 tablespoons of aloe vera gel, 1 glass of cherry juice and a juice from a lemon or 2 limes. Mix 1 tablespoon of aloe vera juice, 2drops of lemon essential oil in a glass of water. Combine 1/4 cup of water and teaspoon of aloe vera gel or powder and drink. Start with a small dosage at first. Store the remaining gel or powder in refrigerator. You can also add aloe vera into your favourite milkshakes, fruit juices or smoothies. Peel and dice 2 pears. Add to a blender with 2 tablespoons of aloe vera gel or juice, 2 tablespoons of brown sugar, 1 cup of yogurt, 1/2 teaspoon of ginger and a cup of ice. Blend it properly till it becomes smooth. Drink this aloe vera smoothie regularly. Lemon juice reduces the acid reflux attacks as it helps to stimulate the digestive secretions. Pomegranate acts as astringent to relieve from inflammation throughout the GI tract and also stimulates the digestion process effectively. Blend 1 tablespoon of aloe vera gel, 1 cup of pomegranate, juice from 1 whole lemon and 2 teaspoons of raw sugar. Drink this to get relief from acid reflux. Apple cider vinegar aids in better digestion as it breaks down the fats and balances the pH level. Aloe vera soothes the GI tract and cures acid reflux. Mix 1 tablespoon of aloe juice or gel and 2 tablespoons of organic apple cider vinegar and 1/2 a teaspoon of manuka honey. Stir it well and consume this drink with a straw to prevent damage to the teeth. Follow these tips and precautions for safe and effective use. Diarrhea is a common symptom of aloe vera ingestion, so start with a small dose. Infants, pregnant women and lactating mothers are recommended to avoid this. People with diabetes should take aloe vera internally under doctor’s consultation. If you have hemorrhoids, ulcerative colitis, thyroid, or Crohn’s disease, avoid this. Aloe vera prevents the blood from clotting. Hence people planning to undergo any surgeries should discontinue taking aloe two weeks prior to the scheduled surgery. People under medication are required to take aloe vera with doctor’s consultation. People taking digoxin should avoid intake of aloe vera. Consult your doctor to get an accurate diagnosis of acid reflux to know whether it is caused due by stomach acid indigestion or by any underlying health problem. Avoid or reduce certain food items like caffeine, tomatoes, citrus fruits, alcohol, carbonated beverages, fatty dairy products, spicy or fatty or fried foods, etc. while including this aloe vera in your diet. Avoid prolonged usage of aloe vera as it might lead to an increased risk of getting colorectal cancer. Also avoid taking aloe vera, if you have allergies to the lily family. If you don’t like the taste of aloe vera juice in plain or raw form, then go for different combinations like mixing the juice in water or tea. Take aloe Vera Latex Capsules with a glass of water 3 times a day. But make sure to consult your doctor before using latex capsules. Always prefer the purified and decolorized aloe vera products. Please feel free to share any experiences you have with us. We would love to hear from you. i Have Acid reflex problem from last few years, now i regulerly take aciloc 150 or 300, so can i go for alo vera tratment . kindly suggest. Taking aloe vera along with other medications is not recommended. 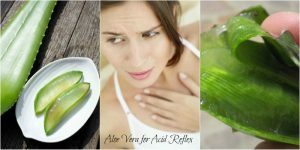 Stop your medications and try aloe vera treatment for few days to find out if it relieves you from acid reflux. Make sure to consult your doctor before trying this. I am taking antacids and PPI .so is it advisable to go for aloevera juice. Aloe vera can interact with medications so it is not advisable to take aloe vera juice when you are already taking antacids and PPI. You can stop taking them and try aloe vera juice. If it works, then you can continue treating acid reflux with aloe vera juice instead of antacids and PPI. Will aloe effect absobtion of medicines ….for other health issues? For certain medication, it can increase but for some it may interact so it is better to consult a doctor before you start taking it. Usually, aloe vera is known to interact with certain medicines, so we recommend to consult the doctor to know. Hi my name is Gee. When do I use the aloe Vera with apple cider vinegar and how many times a day? Once in a day on an empty stomach would be fine. Thanks. I think it also needs water to be added? I tried the mix as prescribed without adding water and it burnt my throat. It is difficult to tell the exact time frame as it depends on GERD severity level and your food habits. However you may observe improvement in 1 – 2 weeks. Hi I am Biswajit, I am suffering from acidity and mild chest pain from last 15 days. What medicine should I take or Aloe Vera juice is preferable. We recommend trying any aloe vera method mentioned above for treating acidity. If you are not getting any results even after 2 weeks then consult a doctor. What is considered taking aloe vera gel juice too long? Would 2 ounces once or twice a day indefinitely be a problem to keep acid reflux away? Drinking aloe vera daily for many months have side effects so, we recommend to stop using it once you get relieved from acid reflux. 2 ounces once or twice doesn’t have any potential side effects. can I use fresh aloe to keep acid reflux away? Taking aloe would help with the acid reflux, just don’t take it in large portion, best if blended use in liquid form. I stopped taking PPIs, and have been consuming two ounces of aloe vera juice twice a day for the past month and it has helped tremendously. Can I continue to drink it long-term? 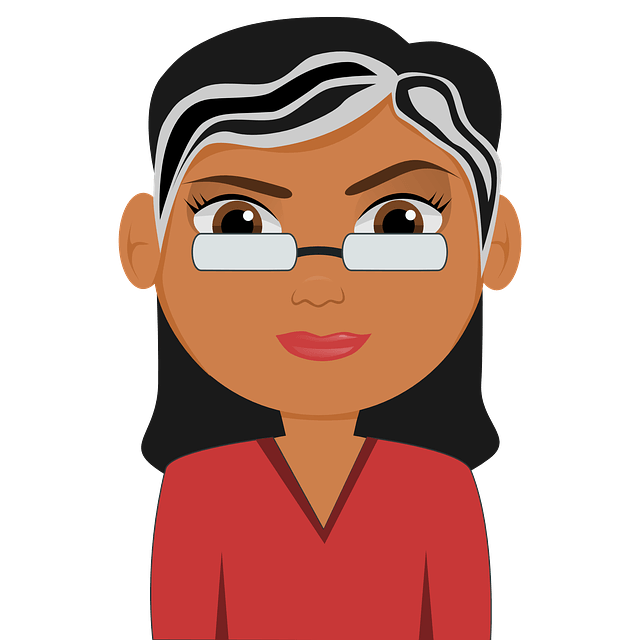 I have gerd for years after meds….all kinds of natural approaches. I have never used aloe vera. I have a sore throat now. What and how to take the aloe vera. I bought aloe life aloe gold…Activaloe. I’m afraid to go to a doctor. Can Aloe Vera be used in combination with organic honey for the treatment of acid reflux? 3 years ago I had a bizarre throat and sinus infection that made me very sick; after about 2 months I was finally feeling a little better and was able to be up and around. But the symptoms kept returning; for less time each episode. Eventually the external symptoms got very mild; but I have been very weak since. I was sent to an ENT specialist to determine if my voice loss and difficulty swallowing was due to reflux; even though I protested that the throat problems began with an infection. My endoscope was completely normal 6 months ago: A few years before I was diagnosed with mild Barrets; and my remedy was 2 TBLs of aloe vera gel before meals. The Barrets was totally gone 4 years later. Suddenly 6 weeks ago I had sudden very severe burning from my sternum up to my mouth. My tongue swelled up with redness and sores; and general oral mucosa discomfort; my throat and tongue were burning like I was on fire and the pain in my chest was totally distracting to any activity. I drank Marshmallow tea, Chamomilel tea, mild lemon water, aloe juice mixed with pomegranate juice; even the low dose PPi and next H2 blocker did not work. Have lost 8 pounds now; my stomache is bloated and gassy; now on Carafate; but still take some aloe because nothing is working. Should I stop the Aloe Gel and Juice? The gastroenterologist thinks lemon juice is bad; he says the stomach is always making acid and I don’t need more. But, nothing seems to be really working.